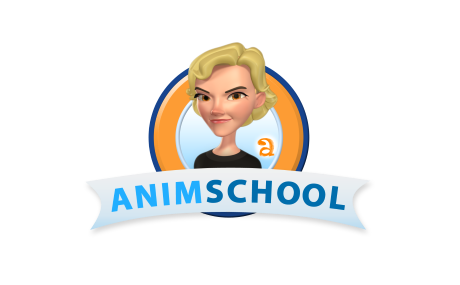 AnimSchoolBlog: What Makes a Great Game Animator? Anyone who is interested in game animation may have wondered at some point how to prepare to be a game animator, and how game animation differs from feature film animation. Our Introduction to Game Animation instructor, Jarrod Showers, gave us some great insight on what it takes to be a great game animator. A good sense of body mechanics is a must for all types of animation, but it is especially important in game animation to be able to convey weight. Game animation has the potential to be viewed in 360 degrees, so the animator must be sure that their animation looks correct from all angles. This starts from having strong poses. Readability is key for game animations, so strong key poses are extremely important because they represent the action that is going to be performed. Game animations tend to hold a pose long enough to be read clearly, then transition quickly to the next pose. Enhanced timing is another key component of game animation. Games need to be fast and responsive, which carries over to animation - as soon as a player hits a button, the character reacts. This leaves very little time for anticipation, because getting to the main attack pose or the extreme of a jump in the air in a timely fashion is the highest priority. But, once that goal is achieved, animators are able to add anticipation and follow-through afterwards, so long as the animation is interruptible. Being a game animator isn't just about animating cycles! The games industry is a team-based industry where everyone relies on everyone to handle their part of the pipeline. Your involvement doesn’t end when you hit export out of Maya- it’s important to own your animation not only from the beginning, but also through implementation and iteration. You need to know the pipeline of the game engine you’re using, know how to implement constraints, troubleshoot problems that arise while exporting your animation, etc. so that there are less people you need to depend on. Because the industry is always changing and advancing, it’s very important to stay on top of the technology. At AnimSchool, we teach game animation students not only how to animate for games, but also how to implement their animation in the Unreal engine. Being a game animator isn't just about animating cycles! Game animators don't animate 100% of the time. As disappointing as that may be to some people, it’s really fulfilling to actually get MORE control over how your animations are being represented in the game. The industry is known for being fast paced due to tight deadlines, so it’s important to improve upon any part of the process to speed it up. If you do something repetitively, can it be turned into a single click of a script? Always question if there is a better way, because others may not know your part of the pipeline as well as you do. Or, maybe someone else will have ideas for you! Additionally, it is extremely helpful to be proactive. This is probably one of the best ways for a game animator to get noticed on the job. Because the game industry is very team based, if someone isn’t delivering progress in a timely manner, another area in the pipeline is being blocked - and it could easily snowball so that the entire production is being held back. It’s extremely important not to prevent anyone from doing their job. This means working out the timing and poses of an animation quickly, without polish, so that you can hand it off to a designer or programmer who needs it. It helps to work in big “brush strokes,” where you focus on the main body parts that are the most important for selling the animation, and to focus your time where it is most needed. Keep in mind what might be needed in the future when you begin to block out an animation. For example, if your character will be using a two-handed grip on his weapon for his attack animation, it would make transitioning easier later on if you forego the cool one-handed idle animation for a two-handed option that will flow better. Once your animation has been implemented, the iteration process begins, because seeing your animation in the game can be very different than what you may see in Maya. Blend times between animations and move speeds can often have an unplanned-for effect on your animation’s overall presentation. Iteration is the key at this point, with polish coming after approvals are made to move forward. In the event that you are blocked, or have finished your animation, it’s really helpful to start thinking about what task is coming next. Usually, a lead will have a few ideas in mind, and it’s always great to begin thinking about them early on so that planning can be done, i.e. thumbnails and video reference. The situation you always want to prevent is coming to your lead and surprising them by saying you have nothing to do. In those moments, you should be prepared to offer up your own ideas, or already have plans for working on the next assignment. This can start even in school as students can look ahead to the syllabus. As in most learning situations, you will get out of it what you put in. Have I mentioned that the games industry is team-based? Making a game is a collaborative effort with many dependencies, so having good communication skills are extremely important. E-mail is a great way to keep track of information, but if questions don’t get resolved after a couple rounds, it’s often necessary to get up out of your chair and walk over to the person to hash things out. If you’re new to the industry or new to the job, it’s especially important to talk to your team and ask questions to ensure that you are all on the same page and prevent any misunderstandings that could lead to mistakes later on. Last but not least, it helps to love playing games! Playing games and knowing the competition and trends is important for referencing to others when brainstorming. The games industry is always changing, from technology, to pipelines, to game trends. What is fun today, may not be fun tomorrow. I can’t even count how many times I’ve had my week all planned out on what I was going to accomplish, only to have to have priorities re-arranged because either an asset wasn’t ready, or the gameplay or story had changed significantly enough where I need to rethink how I’m going to approach an idea. It really helps the team if you can offer up good feedback based on your experience playing games, or even from testing out the game yourself. It will also help you become more creative, because you’ll have a better understanding of what will work and what won’t based on expectations of other game players. When being interviewed by a potential game studio, the one question that will almost ALWAYS come up is whether or not you play games and which ones are your favorites. In those moments you can stand out by staying current. Passion also plays a huge role. As a game animator, it’s important that you believe in the product you are making. A great animator is also a game developer who is passionate about driving the industry forward. Making the game should be as important, or more so, than being just a great animator. Basically, just love what you do and it will not only show in your work, but also make you a great addition to any team! If you're interested in being a game animator, be sure to keep these points in mind, and don't forget to check out our Game Animation program!